When traveling to new places, part of the experience and excitement for me, is trying out the cuisine. I like to follow my taste buds when exploring. My M.O. is to search for a farm-to-table restaurant with a great atmosphere. I will be honest, I pay attention to the details — from how they decorate their bathroom, to their ethics around sustainability and organic food. Food is art, food is fuel and food is pleasure. We found two gems in Taos, New Mexico. 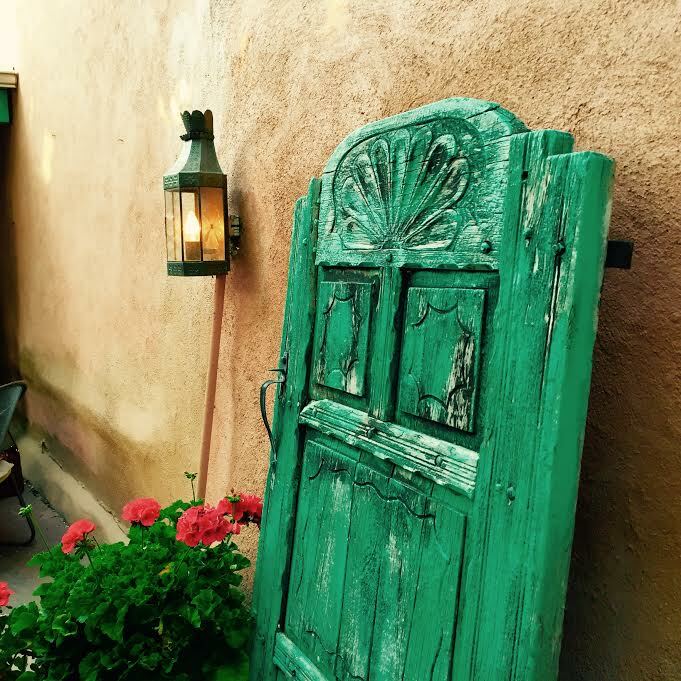 If you have a trip planned to Taos make sure it includes these two destinations: Love Apple and Lambert’s of Taos! Taos has a very unique feel. It’s glamorous with many upscale attractions but holds a gritty edge, giving it a diverse sense of character. It’s a unique mix of free spirited hippies, artists and intellects who enjoy attractions off the beaten path. At times I felt outside of the U.S. — the streets are full of art galleries, beige pueblos with bright teal doors and red window sills. To top it off, it’s backdrop, an alpine desert landscape, is inescapably romantic. This place is stunning and every nook and cranny could be a Pinterest post. 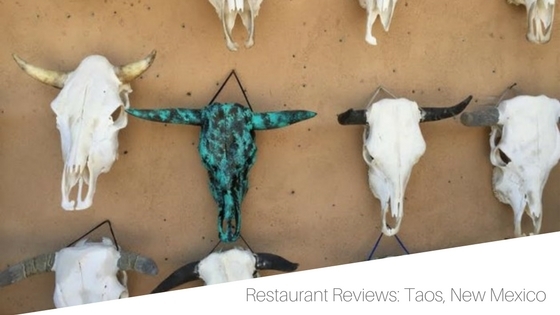 Clean, bright white adobe walls, garlic hanging for decoration, rustic ladders that lead to nowhere and an old copper sauce pan houses the spare toilet paper. Beautiful, romantic, unique and enchanting. Call ahead and make a reservation for outside, if the season is right. We enjoyed their spring menu which was as elegant as the decor. Their buttermilk yellow and wheat-free blue cornbread with a honey, lavender butter was not to miss. Fruits and veggies were all seasonal and came from a local farm outside of Taos. The menu is prepared to meet all food sensitivities and restrictions with dishes to please everyone in your party. Oh, and the flourless, deliciously dense, chocolate cake with fig and cherry compote was the perfect way to finish off a beautiful evening. 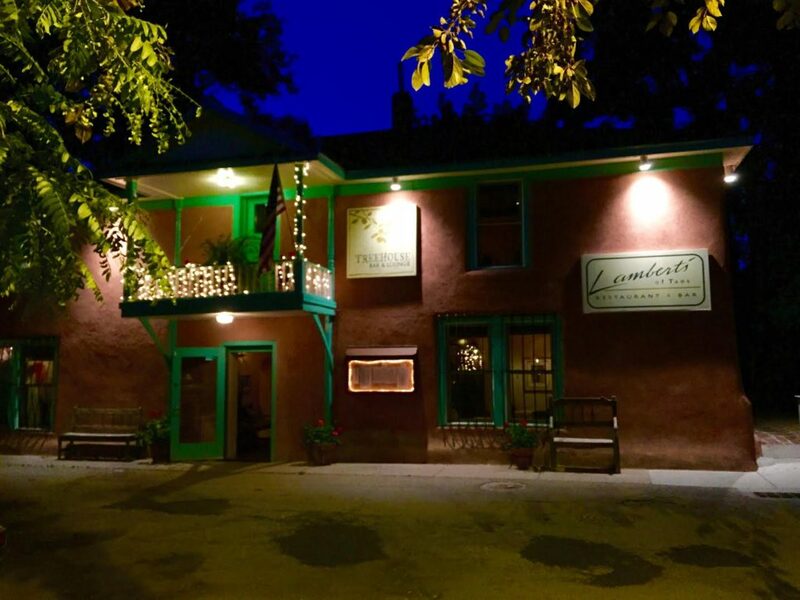 Lambert’s of Taos is a two story house converted into a restaurant, giving it a cozy and home-like feel. They have turned the second floor, which they call “The Treehouse”, into an intimate and stylish bar. It sure does have a tree-house feel and the eclectic mix of furniture will evoke conversation. I would suggest starting your night in the treehouse with a handcrafted cocktail and the delicious cheese plate, which consists of imported and house-made cheeses and crackers plus fresh, seasonal fruit. 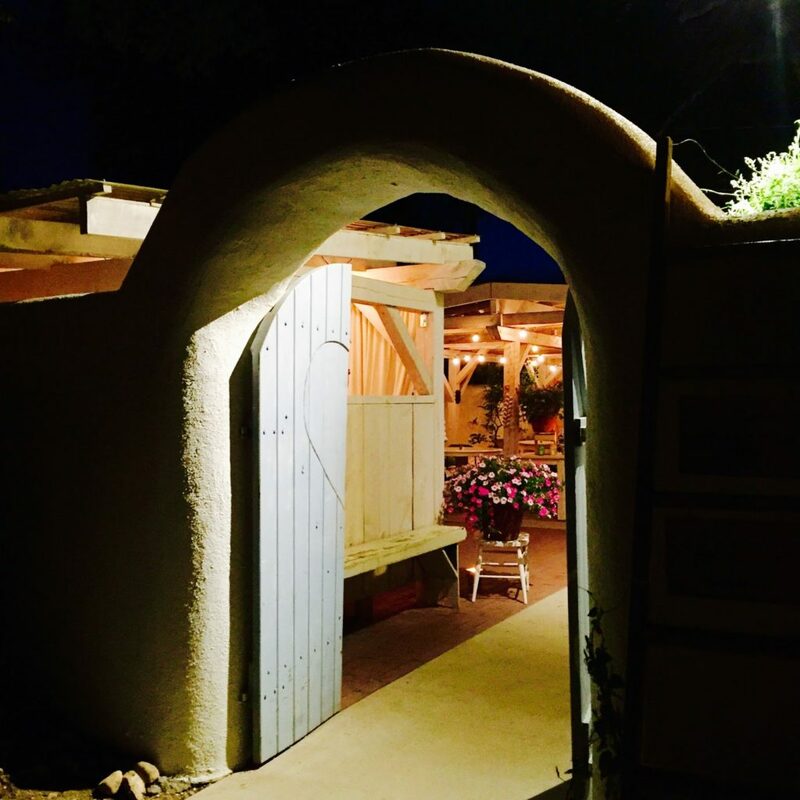 Depending on the season, I would suggest the outdoor patio which is secluded with thick adobe walls making for an enchanting dining experience. Be sure to add in your greens at this restaurant, they have a wonderful selection of salads. 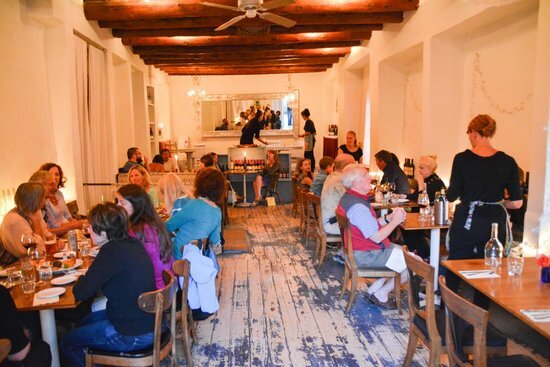 With lots of great biking, art gallery walking and hiking, Taos makes for a weekend full of of good food and good fun. If you visit these restaurants, let us know what you think in the comments below!